On Wednesday, January 2nd 2019, PBI UMY Ust. Niam of Arabic Language Department, as the speaker for the department monthly Islamic lecture. 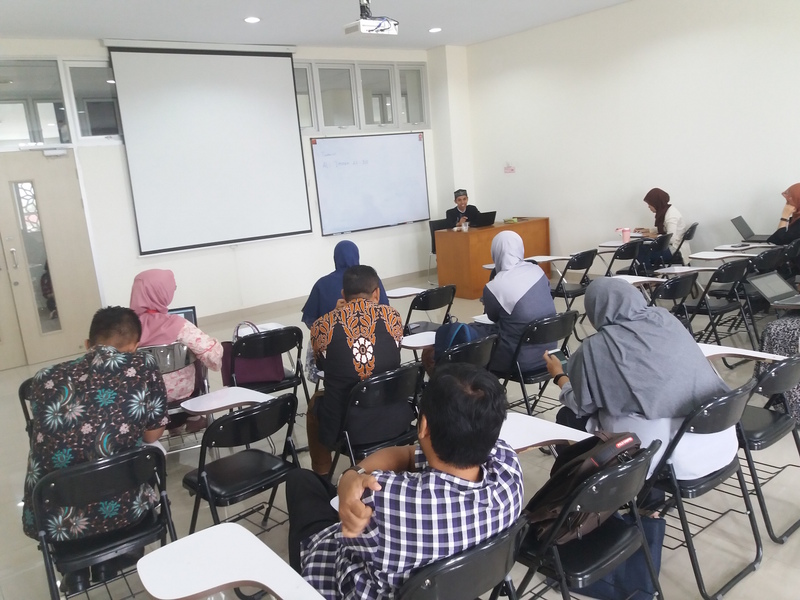 The lecture was attended by PBI UMY lecturers and lasted for approximately one and a half hour from 1 p.m. to 2:30 p.m. The topic of the lecture was about being a wholesome Muslim by staying istiqamah (steadfast). Ustadz Niam explained that being istiqamah means keeping the five principles in each Muslim’s life. These five principles include stating shahadat, performing sholat, giving zakat, doing fasting and going for hajj. One of the means to maintain each Muslim’s steadfastness is by having enough knowledge. The knowledge could only be meaningful when it can get Muslims’ closer to their religion. Therefore, the new year time is a moment in which each Muslim can reflect on their personal journey in being a better Muslim.